Every year, “white ants” deal millions of dollars in damages to Australian homes. Their destructive eating habits are a serious threat to the structure of any building they inhabit, and once they settle in, they can cause damage very quickly. Their unfortunate victims are then faced with charges for treatment, repairs, and maybe even rebuilding. Whether you’re buying an investment property or finally moving into your dream home, termites can quickly turn your plans upside down. If you’re serious about protecting your property, then schedule regular termite inspections by a licensed pest control technician. Miller’s Pest Control has the expertise to detect and remove termite colonies before they threaten your property. Plus, we work with you to create an effective barrier against future invasions. To learn more, call 4276 4574 and chat with Wollongong’s friendly termite inspection professionals today! Don’t Buy Before You’re Sure! When you make the decision to purchase a property, the last thing you want to sign up for is a termite mound! Therefore, it’s critical to organise a pre-purchase termite inspection by a licensed pest control technician like Miller’s. We have the expertise to verify that your investment is free of a white ant infestation and will evaluate your level of risk for the future. We also work with you to plan a management strategy that will keep your home free from these dangerous pests. Just how important is it to inspect before you buy? Studies suggest that homes with termite damage can lose at least 25% of their value, and become much less desirable to buyers. But the real cost of skipping the pre-purchase inspection, is not realising that your dream home has unwanted guests! They may go undetected for years, giving them the chance to do tens of thousands of dollars in damage before you finally realise you need a treatment. If you have your heart set on a property, even an active colony doesn’t mean you need to give up. But without an inspection, you won’t be able to plan properly for treatment, restoration and protection. Don’t risk adding untold extra costs to your life’s biggest investment! 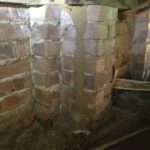 The smart choice to to start with a professional termite inspection. 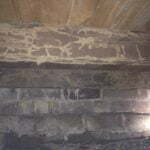 With termites, early detection is critical in minimising damage! By the time you see outward signs of a colony, you may already have a full-blown infestation. The reliable way to keep them out is to schedule regular termite inspections and formulate a solid management plan. Because of this, we recommend recurring inspections to all Wollongong property owners. 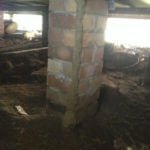 Scheduling a regular termite inspection will ensure that we notice any new colonies as early as possible, before they can do significant damage. Early detection makes the termites easier to exterminate, and also means less costly repairs once they are removed. It’s the most reliable way to ensure you never suffer the devastating effects of a long-term infestation. If you do have termites on your property, don’t despair! Call Miller’s immediately for proven effective termite extermination services anywhere in the greater Wollongong area. Almost all home insurance policies exclude termite damage and extermination? 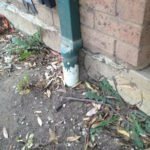 If your property gets infested, the costs will come out of your pocket – so skipping a termite inspection is taking a major gamble with your property and your bank balance. By contrast, Miller’s Pest offers homeowners TimberSecure Termite insurance policies up to $100,000. Then you can rest easy, knowing that your home is protected by a professionally-installed, certified effective termite reticulation/deterrent system. So, whether you’re buying a new property or securing the one you have, Miller’s is your termite inspection expert. We deliver great service at a fair price, anywhere in Wollongong, backed by our On time, Every time guarantee. Don’t take the chance – call 4276 4574 to book your termite inspection today!